Do you really want to miss this event? You cancelled your transaction. You can try again at the bottom of this page. 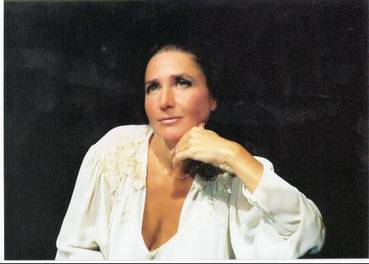 Lvov has achieved acclaim as a piano virtuoso and popular recording artist. She performs as a soloist with major orchestras and in recitals throughout the United States, Europe and Russia, and often punctuates her concerts with personal impressions and historical remarks. Lvov received the first prize in the Beethoven Competition in Moscow, and was awarded the International Alex de Vries prize in Belgium, among others awards. She has also been honored with command performances for the Queen of Belgium, the Prime Minister of England and the President of Israel. Her program for this concert includes works by Chopin, Liszt, Debussy, Ravel, Albéniz and Gershwin.